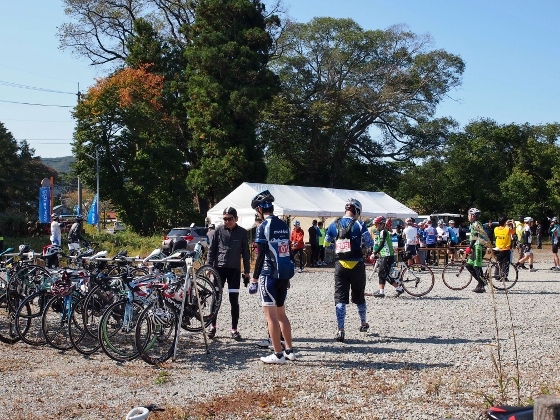 Today I joined in the cycling event called "Cycle aid Japan 2014 in Koriyama". 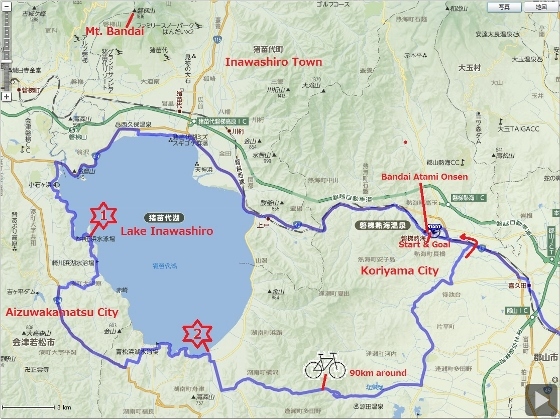 The cycling started from Bandaiatami Onsen (hot spring) in Koriyama City, went around Lake Inawashiro, through Inawashiro Town and Aizuwakamatsu City, and then returned to the same point. The round distance was 90km and the time was around 5.5hours. 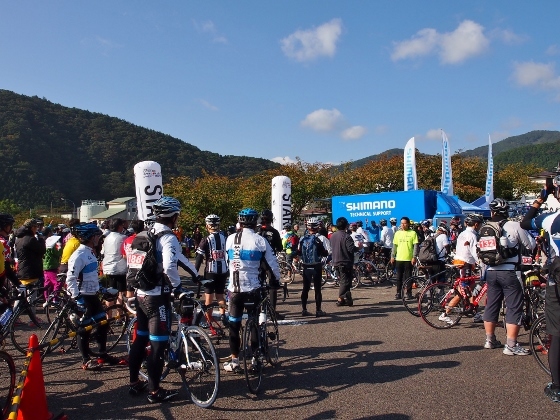 Around 800 people attended from all over Japan. Above photo shows the opening ceremony at the parking lot of Koriyama Yracs Atami hot spring facility. Some guests made speech including Mr. Sinagawa the Mayor of Koriyama City. 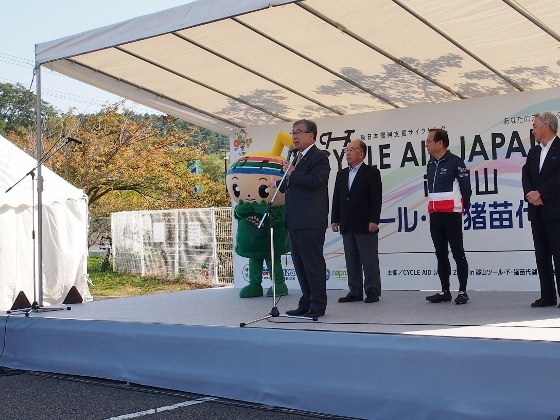 The character beside the mayor is the Koriyama City Character "Gakutokun". Above photo shows the view of starting. Twenty five cyclists started in a group at a time and then another 25 members three minutes after. This was a cycling event and not a race. Above photo shows a view of Mt. 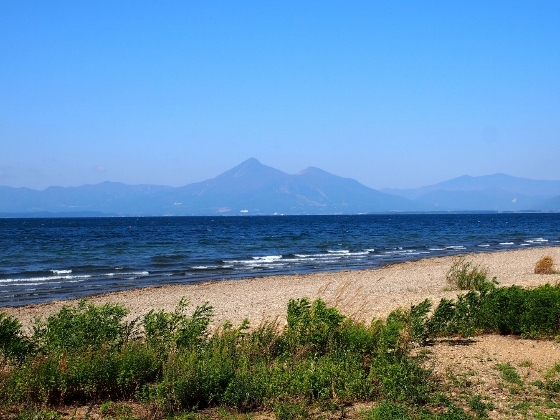 Bandai and Lake Inawashiro from near Nakatahama Beach along the west shore of the lake. It was a clear day today. The location was shown as red asterisk 1 in the map. 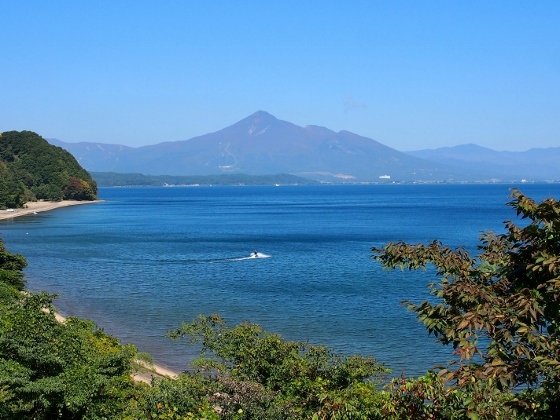 Above photos show a view at the aid (rest) station in Funatsu Park at the south shore of the lake, and also some another views of Mt. 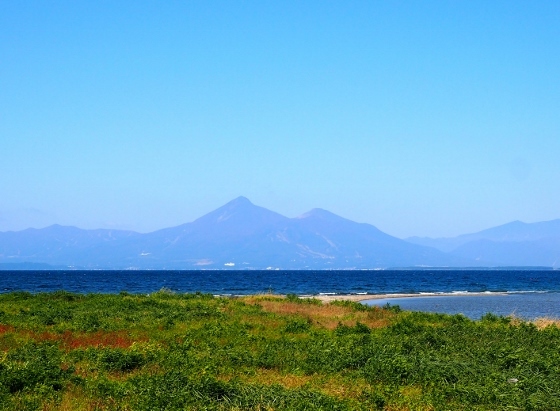 Bandai and Lake Inawashiro from there. The location was shown as red asterisk 2 in the map. 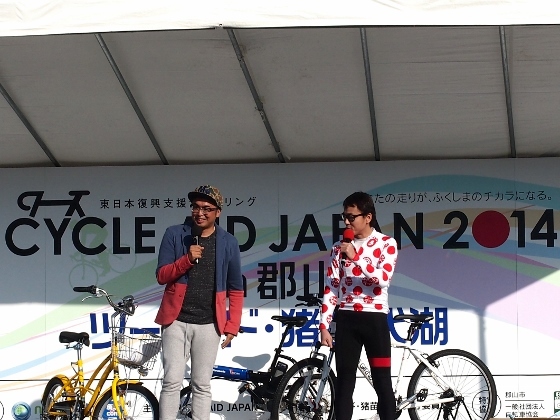 When we made the goal, Mr. Manabu Ino who was a regular talent at NHK's bike program "Charider" (on the right in the above photo) was talking on the stage. Meanwhile, we also had various help from three former Olympic bike athletes such as pace maker. Because the check in time had been from early in the morning, I stayed last night near the starting point of the event. As I had been interested in Motoyu Onsen from before which was a day use hot spring bath nearby, I visited there this time. 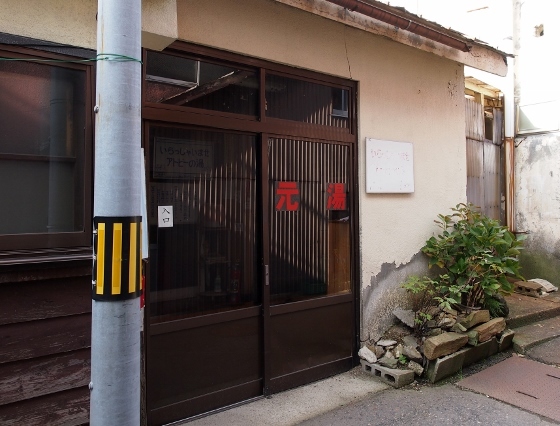 This hot spring had an original traditional hot spring source which had been said good for skin health instead of the common Bandaiatami hot spring mixture source which all the other hot spring facilities use. 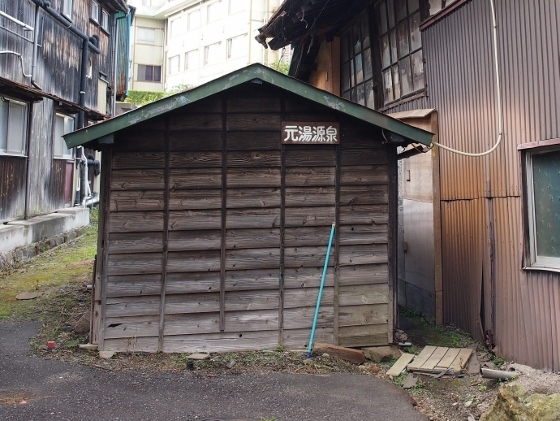 Above photos show the entrance of the Moroyu Onsen and the original spring source hut in the back. Inside the facility it was so old that I first hesitated to proceed, and what made me surprise was that the spring source water of only 31 degrees Celsius was flowing to the bath as it was with no heating. Despite all these, many local people were there enjoying the bath. And it was a mystery that my skin became very much smooth after I left the Motoyu Onsen.